After five years as part of a musical boyband phenomenon,Zayn Malik has officially left One Direction. What??? Oh no!!! The news was announced on the band's official Facebook page on Wednesday. "My life with One Direction has been more than I could ever have imagined," said Zayn, 22. "But, after five years, it is now the right time for me to leave the band. I'd like to apologize to the fans if I've let anyone down, but I have to do what feels right in my heart. I am leaving because I want to be a normal 22-year-old who is able to relax and have some private time out of the spotlight." "We're really sad to see Zayn go, but we totally respect his decision and send him all our love for the future," said Zayn's bandmates in a joint statement. "The past five years have been beyond amazing, we've gone through so much together, so we will always be friends. The four of us will now continue." The statement also states that their fifth album will be released by the end of this year. 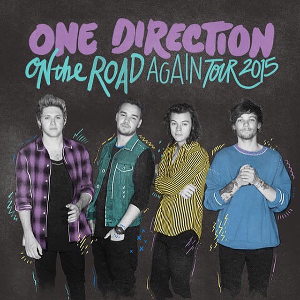 Malik left in the middle of the band's On the Road Again world tour on Thursday, citing stress. The news was announced following rumors that Malik had been cheating on his fiancée, Little Mix's Perrie Edwards. However, Zayn had trouble dealing with fame. Pretty quickly after Zayn got into the X Factor machine he realized that he didn't actually want to be famous and he was quite happy to hide behind the other boys. He found fame more difficult to deal with than the others. Zayn finds the fact that everyone is looking at him all the time a bit much – and he has for years. Even at the start of the band he was finding it really hard to deal with the constant intrusion. When he left the tour, Zayn's bandmates were "really worried" about him; their main concern was that he get better, another source revealed, but they didn't want him to quit. Zayn Malik joined The X Factor as a solo artist in 2010 but was eliminated from the competition before Simon Cowell decided to bring back all of them back as a group – One Direction. The massive, worldwide success that followed couldn't have been anticipated by anyone. Bye, bye Zayn , all the best in your undertakings..